​From the luxury segment new contender Jaguar I-Pace to the zero emission everyday vehicles of Hyundai, or from the high-concept speedracer-esque outing of Infiniti to the 2nd generation of arguably the best selling electric vehicle (EV) in the past decade, the Nissan Leaf, major manufacturers have prominently displayed their budding fully electric vehicle lines in the last Chicago Autoshow. If big car brands are putting EVs front and center, is this a sign of an all electric future? It is said that performing oil change at OEM precribed intervals is perhaps the most important maintenance you can do to your car. Oil provides critical lubrication between surfaces that move against each other, avoiding heat and premature wear from friction. But how does engine oil get into those nook and crannies where they’re needed? Before, I’ve had a mechanically simplistic view that for oil to get to all the places needing lubrication, the crankcase of an engine had to be filled with oil to the brim, with all its moving parts fully submerged. Apparently, that’s not the case, as having free space is as important as having the right amount (and right age) of oil. I own a 2004 Nissan Sentra. I got it last year for about 17 hundred. It had only 87,000 miles on the dash and came with everything stock: engine, rims, original paint. It has an underwhelming 4 cylinder but other than its spark plugs needing replacement, it ran well. The suspension was stock as well, but a little squeaky. Shocks were promptly replaced and so were the headlight housings which were yellow and dull. I could have lived with the squeaks and the light but since they were a safety issue, I’m glad those got replaced anyway. Initial repairs cost half of what I paid for the car, and by most accounts, that’s well within expectations of getting a used car. There’s some fading of the top coat by the window frame, and a few minor scratches here and there. Otherwise, the car is in great condition, much props to the previous owner for taking very good care of the car. All in all, a great deal. But I’m too cheap (or destitute) to splurge any further on Old Red. However, she still got some well-deserved TLC, with me having to spend next to nothing at all. Here are a few tips. Last week we talked about next level technologies applied to the internal combustion engine as they make themselves available to the public through luxury brands and the high-end of the high-ends. We went into some detail on how Infiniti’s simple but ingenious rocker-armed piston assembly is giving in-chassis variable compression another shot at commercial reality. We also looked at the latest iterations of camless valve control technologies as they make their first production intro in exotic cars. Today, we’re discovering more of these engineering marvels that promise better performance, higher operating efficiencies, and safer emissions. For now, these technologies come as part of a car that’ll cost you an arm and a leg (and perhaps a house mortgage) but wait a few years as they’ll come standard on more sensible price models. Whether it’s appliances, smartphones or automobiles, the high-end market is the proving ground of market-readiness for many technological advancements. Consumers in this segment are often first adopters and enthusiasts, willing and able to afford the expense of new technology that had not yet benefited from the economies of production scale. Remember when variable valve timing and turbos were still exotic options? Now those technologies have tricked down to the masses, seen standards even in the entry-levels of some car makes. Today we’re looking at a few updates made to the venerable internal combustion engine as found in high-end models and luxury brands, each new tech promising better and more sophisticated performance for the everyday cars of tomorrow. If you’re running a newer, practical-sized car like a sedan that’s less than 5 years old, it probably has a host of technologies that help it run efficiently and get the most mileage with every ounce of fuel. We’re talking about stop-start technology, complex ignition systems, advance engine management, and maybe even an electric motor to help the car move along. But according to studies, the average car on the US road today is about 12 years old. Chances are, your car’s electronic fuel injection system is its most advance feature. But that doesn’t mean you can’t retrofit your old car with newer technology that will (in a way) make it run better. Again, I’m not referring to any of those add-on to the engine gadgets which instantly saves you fuel and money, lower emissions and bring miles to the gallon (I’m looking at you this time fuel line magnet). Those devices have long been busted as scams. The tech I’m recommending improve fuel economy by largely informing you, the driver, of parameters about your old car so you can respond appropriately and maintain conditions of highest driving efficiency. It sounds like a cop-out but realize that the driver has the biggest influence on the performance of his vehicle and the more informed a driver is, the better his decisions are at driving. You can’t talk about improving gas mileage without bringing up the need to keep your tires properly inflated (like I did in my previous blog). Checking tire pressure is a straight-forward procedure: you can use a tire pressure gauge if you have one handy, use an air machine at the gas station (which is basically an air pump that can also electronically read your tire pressure), or have your trusted mechanic to check them for you. The recommended frequency of checking your tires is once a week but if this is too often for you to do yourself (and far too often for trips to your auto mechanic) or you’re completely OCD about decreasing rolling resistance (I know I am) then installing a device that monitors your tire pressure in real time is one solution for you. Called TPMS or tire pressure monitoring systems, they do exactly what their name suggests. Newer cars may have this tech built-in but for older cars, a number TPMS devices in the aftermarket are available. Installation is simple, the device comes with four monitors that you screw on each wheel’s air valve and a central display device that plugs in your car’s lighter socket. The monitors send the tire pressure data wirelessly to the central device and you get a real time read-out on the tire pressure of each tire. The beauty of such a system is not just knowing when it’s time to top up on air but it also helps identifying a problem tire, like one that’s leaking faster than the rest which may need inspection or even replacement. The disadvantage of the system is: it’s another electronic device leeching-off electricity from your system, as well as another device taking-up your lighter port. But if you’re all about saving gas or saving your expensive low-profile tires and fat-rims, installing a TPMS is the way to go. Feeding-back system stats to the driver is important that’s why we have gauges on the dash. Newer cars show a host of metrics that help the driver be aware of engine performance, such as vehicle speed, engine speed, mileage of current trip, miles per gallon, how many miles are left in the tank and a plethora of other lights to warn of system issues. And if it’s a hybrid or an electric car, the dash also shows charge/discharge states, battery levels, and available range. But middle-age cars, all you get to monitor performance with is a speedo, a tach, and the fuel gauge. So what’s wrong with a good old dashboard? Not much because they perform as they should, giving cursory info of the car’s performance at a glance. However, if you need to be mindful of your stats all the time, watching the dash becomes a dangerous driving occupation. Enter aftermarket Heads-Up Displays or car HUDs. These are devices that are placed on top of the dash, take car performance data via connection to the ODB slot and project the data either to a small see-through glass or directly to the windshield. This means you can monitor your car’s stats without taking your eyes off the road. They can also be a smartphone app paired with an wireless ODB dongle that turns your cellphone into a projector. Aside from dashboard data, these apps allow you to project maps and driving directions too, technologies that are probably not yet baked-in to your old car. These devices and apps have customizable displays, allowing you to choose which data you want to monitor. Most of them also have limited scantool capabilities. They won’t replace the dealer-grade scantools used in reputable auto repair shops for in-depth diagnostics, but at least they can give you a little more information to work on when you’re having car trouble, compared to the catch-all check-engine light . If you want better gas mileage but don’t want to be bothered by a barrage of incoming data constantly reminding you to adjust your driving then this next type of device will probably fit your bill. Electronic throttle control (or throttle response control devices) work by changing your vehicles throttle response automatically. Most of them are palm-size modules with built-in displays that have a long wiring harness to connect to the throttle’s external electronic inputs. Much like with late model cars, they provide driving mode options, like sports or economy modes with a few button pushes, and they work by retarding or advancing the throttle with respect to the gas pedal. It’s a set-and-forget affair that works. Just make sure your expectations are correct: they don’t magically improve on all fronts at the same time. Economy modes sacrifice on performance, Sport modes use more gas. Whether it's about counting pennies with every trip at the pump, or being legitimately concerned about the environment, saving on fuel is practically on everyone’s mind. Sure, the government already has in place strict emissions laws for manufacturers to follow (which makes for ever-more fuel efficient vehicles), but you are wondering how much you can do to make the EPA of the car you already have, better. We’re not going to talk about aftermarket gadgets and gizmos that claim will put 50 more horses for just $15 (I’m looking at you Turbo Air Intake Gas Fuel Saver Supercharger Fan) but practical tips that won’t cause you a dime but have real-world benefits. A favorite tip among car experts is keeping your tire at the OEM recommended air pressure. This practice has a host of benefits, not the least improving fuel economy. According to the Department of Energy, every 1 PSI drop from the recommended tire pressure lowers the gas mileage by 0.4%. The percentage seems trivial but consider how difficult it is to judge how under-inflated your tires are without the proper tools. A tire that’s only at 22 PSI looks almost the same as one in 32 PSI, and that’s already a 4% inefficiency on one tire. Keeping the tire pressure right also means making your tires last longer because under-inflating or over-inflating tires will cause uneven tire wear which will shorten the tires’ service life. Additionally, since it takes more energy to move a car with under-inflated tires, this translates to undue stress to your cars’ wheel bearings, axle joints, transmission, and engine. Tires cost a few hundred dollars per piece, engine repairs a few thousands. So remember to have your tire pressure checked once a week at your local gas station or auto repair shop (or purchase your own pressure gauge since they’re relatively inexpensive). Quick Tip: You can find the information about the recommended tire pressure for your car near the door latch of the driver-side door or under the hood. I don’t mean doing eco-modding extremes like grille blocking, adding wheel skirts, or constructing boat tails. Sure, those modifications work especially if you’ve got a knack with fiberglass-making and you don’t mind the odd looks but we’re talking about more practical things you can do. And when it comes to improving your car’s aerodynamics, you can do two simple things: roll-up your windows and lose the roof rack. Wind resistance increases exponentially with vehicle speed and at over 55 miles per hour, most of your vehicle’s effort goes into overcoming the wind. At 65 mph, estimates show that wind resistance uses 90% of your car’s energy even if it’s a sleek modern sedan. An open window increases a car’s drag coefficient by 20% more so you actually save more gas keeping all your windows closed at highway speeds, even if it means using your car’s power-sapping AC. According to fueleconomy.gov, roof racks and luggage containers cause additional drag and lower fuel economy by at least 2% in city driving and as much as 25% on the highway. In fact, any protruding part of a car that interrupts the flow of air around the vehicle will contribute to drag. These would include side-mirrors, windshield wipers, outboard radio antennae, and even spoilers (at least the ones installed for “show”). So shelf the rack until your once a year vacay. The last practical tip to increase fuel economy is changing the way you drive. Experts agree that driving conservatively brings the highest improvement in fuel mileage and promotes a longer service life from your car. It is known that rapid acceleration uses more gas than slower acceleration for the same mileage. The faster you want to overcome inertia, the more force is required, therefore more energy. It’s simple physics. In the operation of your car, this means lingering at the higher rev-range of your engine which uses a lot of gas. Rapid deceleration and braking also decrease fuel economy by wasting a lot of the fuel-fed motion to heat. All these rapid fluctuations in vehicle speed can increase fuel consumption anywhere from 20 to 50%. Staying in the lower rev-range and getting up-to-speed through proper gearing of the transmission saves the most gas as well as coasting to a stop or slower speeds. At slow speeds, you’re probably revving the engine too much at low gear, while at really high speeds you’re fighting against the wind. Experts say the sweet spot is keeping a consistent speed between 30 and 50 mph as much as possible. If you’re not in a big hurry, ease off the gas pedal. Besides, how much time are you really saving overtaking cars and doing jackrabbit starts? Plan your routes, leave early and cruise the highways. Your car, as well as your wallet, will thank you for it. ​Whether it’s engine oil, coolant, or fuel, the engine seizes to function with the loss of its fluids. That’s obvious enough. But what happens exactly? In this installment of Auto Repair Blogs, we’ll look into how an engine breaks down when fluids dry up. Engines, being the complex machines like they are, have quite a number of adjoining components whose surfaces slip, slide, push, pull, mesh, brush, and grind against each other. Between these surface, kinetic energy is lost to heat because of friction, and no matter how much these surfaces are mirror-polished, they’re still as gritty as sandpaper at microscopic levels. This is where lubrication like engine oil plays its importance. 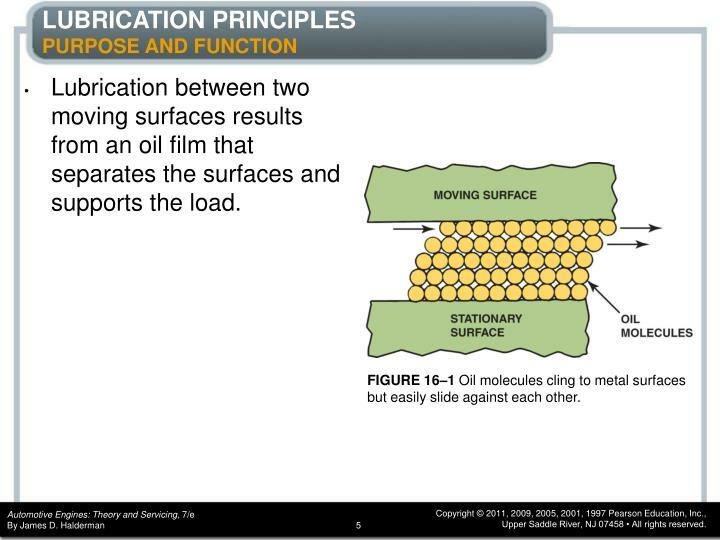 Oil molecules buffer between two mating surfaces and behave like microscopic ball bearings greatly reducing friction. Less friction, less wear-and-tear and also less heat generated. Engine oil also has the additional function of carrying away heat and accumulated particles that could worsen wear on parts. That’s why an engine should always be sufficiently lubricated with the right grade and right amount of oil. How does an engine destroy itself in the absence of lubrication? Most mechanics observe initial destruction in the following areas. One is the main bearings of the crankshaft where the piston rods are connected to. These bearings depend on having a thin film of oil between their surfaces and keep the surface from rubbing while the piston pushes the crank around at several thousands of revolutions a minute. Without oil, excessive wear and hot spots are generated on the mating surfaces, eventually leading to intense vibration and fracturing of metal parts. 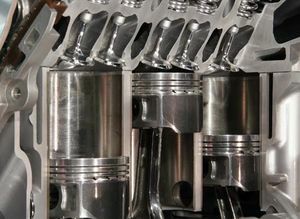 Another critical area for lubrication is between the piston and cylinder walls. These are precision machined for close to perfect fit and lost of fluid will cause the surfaces to wear away to a point when the piston rings will fail to seal the cylinder for compression, or the surfaces could just melt, seizing the piston. Valves can also get “welded” into place then properly crushed by the closing pistons. Cam lobes get scarred, drive chains snap-off, and head gasket seals broken. A car will actually run with just the residual oil left on its internal surfaces but only for a few minutes. After that, expect engine parts to get blown out of the engine in spectacular fashion. You’re unlikely to experience unintentionally running your car with absolutely no oil but running your car with an inadequate amount of oil (like when your car excessively burns oil or has a leak) or running your car with old dirty oil (not changing your oil enough) will have the same effect in the long-term. So make sure your oil levels are up to OEM specs, change your oil regularly, and if you’re losing oil as you drive, have your car checked by a trusted auto repair shop. Running your car with no coolant will also be detrimental to the engine (but with less spectacular effect than running with no oil). In fact, most engine management systems will allow you to run your car with low levels of coolant in “limp mode” to give you a way home or at least, to the nearest auto repair shop. In some systems, the engine is shut-off from doing further damage to itself when you’ve totally lost coolant. But if these fail-safes are defeated or unavailable, several things can happen to an engine for continuously running it in high temperatures. Cylinder heads can get irreparably warped or the head gasket can melt, causing a vacuum or fluid leaks that will stall an engine. Lack of coolant can also cause the engine to burn its own oil, making the oil lose its lubricity and eventually causing the internal mechanical parts to fail. If somehow the engine and its oil remain intact, the high operational heat will surely cause plastic and rubber parts to melt, like that of electrical wiring insulation, fuel injectors, and hoses. In turn, this will either cripple an engine or worst, start a fire. There’s a lot of reason why you could lose some or all of your coolant. Your radiator can spring a leak due to corrosion or front-end collision, radiator hoses can leak or snap-off, sometimes engines can bleed coolant internally. If your car shows signs of overheating (like the temp gauge maxing-out to “H”), it’s time to have your car checked by a reliable mechanic. Most fuel misers will recommend not filling up the tank but instead, run on low but take frequent trips to the gas station. You save on fuel by saving on weight. But this strategy risks running your car on empty. Question is: Is it bad to run your car on empty? Most mechanics will say yes, and here are the prevailing reasons why. One, sediments will form in the gas tank over time. These could be made of impurities from using low-grade fuel, or corrosion that had developed in the inner walls of the gas tank that have dissolved in the gasoline, or microbial contamination in certain types of fuel. There are no drain plugs or removable pans in the underside of fuel tanks and so removing accumulated sediments is a difficult procedure that’s rarely pursued. Most of these impurities settle harmlessly to the bottom of the tank and if any impurities are picked up by the fuel pump, the fuel filter does its thing to keep them out of the rest of the fuel line. But when you run on empty, there’s a tendency for the fuel pump to siphon gas with a higher concentration of impurities. This will not only clog the fuel-filter prematurely (which would starve the engine of fuel) but increase the likelihood that impurities will get pass the filter and clog the fuel injectors. Another risk is that most modern fuel tanks are made of durable plastic or aluminum, but if your fuel tank is made of steel, carrying low amounts of gasoline means the inside walls are bathed less on fuel, which increases the risk of corrosion to develop and therefore more impurities into the mix. One final risk of running your car dry on fuel is damaging the fuel pump. The fuel pump is a sealed electric motor that’s cooled by the flowing gasoline it pumps. Prolonged use without its coolant may cause it to burn-out. Being sealed, it’s unlikely that a burned-out motor will start a fire but getting to the pump and replacing it, is usually a very involved and expensive ordeal. So never run on empty. Remember that fuel is actually cheaper in the long run than the cost of repairs. Last time we revisited two promising automobile developments from a few years back that promised great strides in fuel economy. But in spite of having sound engineering, scalable designs and even having working prototypes, neither technology made it into the mainstream. Today we’re going to look at two more automobile technologies that have also been around for a while but only in very niche circles although we feel that these techs deserve wider adoption in the industry. Electric superchargers (e-superchargers for short) are forced induction device similar to regular superchargers and turbochargers. But unlike a regular supercharger which is powered by the engine via belts, chains or gearing, and also unlike a turbo which is spun by exhaust, an electric supercharger is powered by an electric motor. The biggest benefit is instant boost like a supercharger without sapping power from the engine and none of the lag of turbos. It’s part of a growing trend of electrifying most sub-systems in a car. Hydraulic systems like power steering and brakes are being replaced by actuators while peripheral systems that take power directly from the engine like the AC compressor and supercharger are getting their own electric motor. This means more of the engine’s power go into the drivetrain. And for the new kind of supercharger, getting power from a dedicated electric motor means boost availability across the whole rev-range. The benefits of an electric supercharger are particularly compatible with small engines. As engineers are now utilizing forced induction to increase both power and efficiency of smaller displacement engines, they run into problems powering the blower with the lower pressure exhaust. Electric motor powered superchargers do get around this. The challenge is that the current 12-volt standard is fast becoming inadequate in providing for the demand of an increasingly electrified system. 24, 36 and even 48 volt systems with ever larger battery capacities (which are common in electric and hybrid engine systems), will need to be the norm to support electrifying engine peripherals including e-superchargers. As battery production rises and the prices of batteries continue to drop, electrified components like the e-supercharger will be the first to be standardized in regular production cars, even before hybrid engines become the norm. We’ll just have to wait and see. In the automotive aerodynamics, car design is always a compromise between wind-cheating, engineering, safety regulations, practicality, and consumer tastes. That’s why most automobiles are shaped less like flattened tear-drop shapes and more like aggregates of rectangular boxes with rounded corners. Now you know why most new cars look alike. 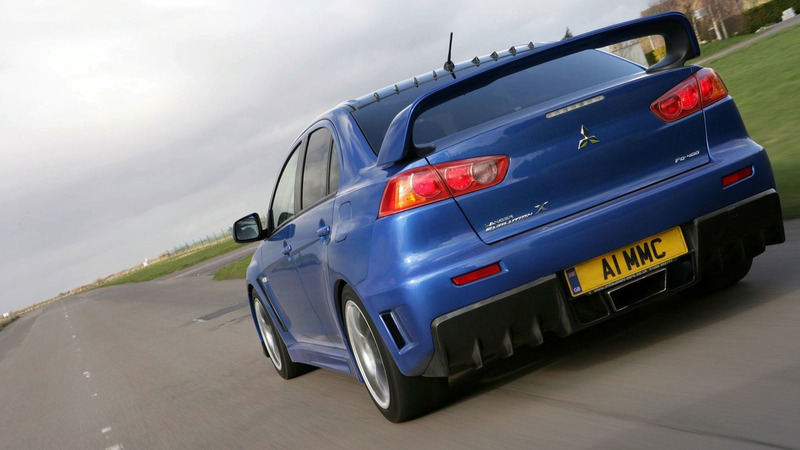 Going a bit into Aero101, much of your car’s effort goes into overcoming wind resistance at higher speeds. Current auto design leaves a substantially low-pressure wake behind a vehicle as it moves ahead. Higher head-on pressures with lower back pressures around a fast moving car body mean the engine has to work harder to make the car plow through the air. Ideally, car designers want to keep the flow of air around the car as “together” as possible, minimizing turbulence as the flow lines converge behind the vehicle and keeping the negative pressure wake as small as possible. This is a tall order considering the steep drop-offs in the trailing body lines of cars. One way to help keep airflow together is with the use of vortex generators (VGs). These are usually small shallow fins or protrusions placed across the moving body’s surface, transverse to the airflow. They create a layer of narrow vortices on the body’s surface that has a net effect of attaching the surrounding airflow to the body shape more, lessening the turbulence created in a moving body's wake. Vortex generation for fluid dynamics advantages have been observed in nature and the application has been long used in aeronautical wing designs. Although there has been application of vortex generation in the automotive world, they have been niche at best. Example are underbody diffusers in racing and street modification, tack-on aftermarket accessories, and modest applications with a few performance production cars. VGs are simple designs and pose little manufacturing challenge. They can be stamped on to body panels or individually fixed on surfaces. Their improvement on the aerodynamics of vehicles - and therefore overall fuel economy - vary, but even the conservative figures put it to 11percent, a significant number. Why are we not seeing more production cars fitted with VGs? Because they are subjectively unsightly and difficult to incorporate seamlessly in a cars overall outward design. Sadly, it’s a case of design tastes taking priority over function; a design challenge quite doable but had not been taken seriously enough.